Independent agents or brokers are often considered the agent of the insured. However, Georgia law recognizes the concept of dual agency, where an agent acts on behalf of both the insured and the insurer. Dual agency is not considered void per se as against public policy in Georgia. Dual agency is proper where the principals have knowledge of the dual agency and do not repudiate it. Dual agency does not in and of itself relieve the agent of responsibility to either of the principals. When an insurer holds out a person as having the authority to act on its behalf and a third party reasonably relies on that authority, the agent is cloaked with apparent authority. This authority can engender a dual agency. For example, where an agent countersigns insurance policies, declaration pages, and certificates of insurance as an “authorized representative” of an insurer, a third party may reasonably believe that the agent has authority to act on behalf of the insurer. A fiduciary relationship may arise between an independent insurance agency and an insurer when the agency customarily accepts premiums and claims on the insurer’s behalf. A dual agent’s misrepresentations as to the existence of insurance coverage will obligate the insurer to provide coverage. Generally an insurance company is estopped to deny liability on any matter arising out of the fraud, misconduct, or negligence of an agent of the company. If an applicant gives correct answers or information to an insurance company’s agent, and the agent inserts false answers into the application, the insurer is estopped to assert the falsity of those answers. 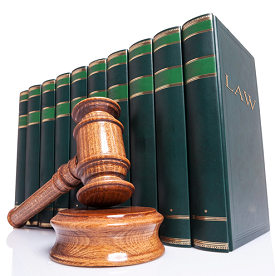 Additionally, if an insured makes a false statement on an application and the insurer’s agent has actual knowledge that the statement is false, the agent’s knowledge is imputed to the insurer and the insurer is estopped to assert the defense of fraud or misrepresentation. Under Georgia law, an insurance agent who negligently fails to procure insurance coverage may be liable to the insured for any resulting loss. In some situations, however, if the insured is provided with a copy of the policy and the contents of the policy plainly show that the agent did not procure what was requested, the agent may be insulated from liability. Exceptions apply when, for example, the agent has a fiduciary-like relationship with the insured or performs expert services on behalf of the insured under circumstances in which the insured must rely upon the expertise of the agent to identify and procure the correct amount or type of insurance. For example, a small business was relieved of the responsibility to minutely examine its policy to determine if the coverage required was included in the terms of the policy where the business’s agent held itself out as an expert in the field of insurance. The agency examined the business’s records and the business requested that the agency obtain a sufficient amount of business interruption insurance to properly protect the business. The agent further undertook to review the business audits annually and to determine if such policies continued to be sufficient. In doing so, the agency did more than simply issue a policy – it acted as an expert advisor to the business. This exception applies where the prospective insured must rely on the expertise of the agent to identify and procure the correct amount or type of insurance.1 By contrast, where an insured specifically requests a certain kind of coverage, giving the agent no discretion in the type of insurance to be procured, the exception might not apply. Whether an insurance agent performed expert services or exercised expert discretion in procuring the requested coverage will necessarily vary depending on the unique facts and circumstances of each case. The insured is not relieved of all responsibility to read the policy. The duty to read remains where an examination of the policy would have made it readily apparent that the coverage contracted for was not issued. As an insurance policy is to be read as a layman would read it and not as an insurance expert might analyze it, it must be readily apparent to a layman reading the insurance policy, based upon the plain and ordinary meaning of clear and unambiguous language, that the risk causing the loss was not covered.